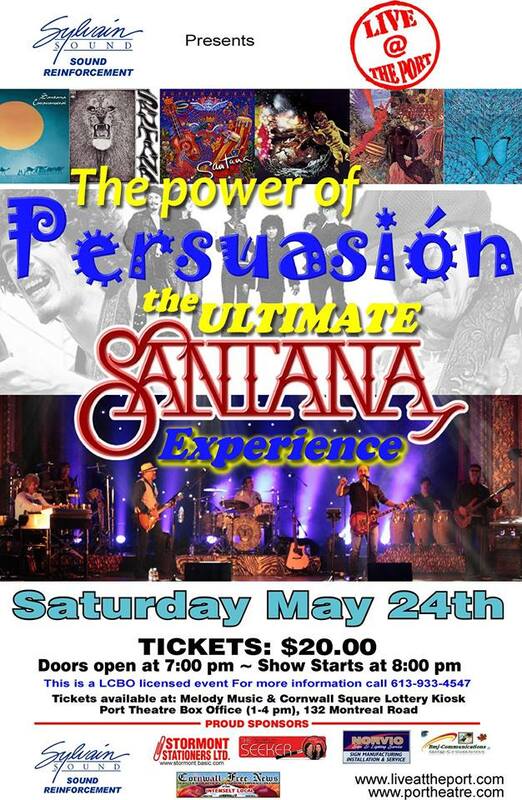 CFN is Proud to Sponsor Alkaline Entertainment & Sylvain Sounds Ultimate Santana Experience at The Port Theatre in Cornwall CLICK! Alkaline Entertainment & Sylvain Sound are proud to present ! Tickets are $20.00 in advance and at the door.